Annkatrin hat sehr professionell gearbeitet. Sie hat immer sofort auf unsere Vorstellungen reagiert und gute Alternativen aufgeziegt. Wir waren von ihrer Betreuung sehr angetan. Diese Reiseerfahrung wurde von einem Englisch-sprechenden Reisenden geschrieben. Diese Reiseerfahrung ist für Marco. Diese Reiseerfahrung ist für Yannik. Nachdem wir das Jahr zuvor schon einmal eine von einer Agentur geplanten Reise nach Costa Rica unternommen haben, sollte es in diesem Jahr auch eine vorher organisierte Reise, aber nun nach unseren ganz speziellen Wünschen sein. Ich bin durch Internetrecherche auf trip.me gekommen und habe schon bei der ersten Antwort auf meine Anfrage Vertrauen in diese Agentur gewonnen. Damals war es noch Madeleine, mit der ich kommuniziert habe. Später hat Yannik übernommen. Wir haben unsere Ziele und den Ablauf geäußert, aber die konkreten Hotelvorschläge kamen von Yannik. Die Kommunikation lief ganz problemlos! Und wir wurden nicht enttäuscht! Die Hotels und überhaupt der ganze Ablauf, die Transfers vom und zum Flughafen und in Puerto Jeminez von und nach Caratè - alles hat super geklappt. Auch Dank der App "Travelkey", die wir uns vor Reisebeginn geladen haben. Hier haben wir Ablauf, Karten und alles immer zur Hand gehabt. Super Service!!! Ein Hinweis für Selbstfahrer-Reisende nach Costa Rica: man sollte die Strecken nicht unterschätzen. Für 350 km benötigt man dort einen ganzen Tag und 18 Uhr wird es gnadenlos dunkel und dann weiß man nicht mehr, ob man dem Navi (welches man unbedingt benötigt!) vertrauen kann - so eng und unwegsam sind manchmal die Straßen zu dem gewünschten Ziel. Auf den meisten Straßen konnten wir nur mit Durchschnittsgeschwindigkeit 40 km/h fahren, weil vor uns LKW's o.ä. fuhren. So haben wir in unserem 14tägigen Urlaub leider 3 Tage mit Fahren "verloren". Aber wir haben trotzdem die Natur genossen und viel über Land und Leute kennengelernt... Wir planen eine weitere Reise nach Südamerika und dann gerne wieder mit trip.me! Diese Reiseerfahrung ist für Jimena. Jemina did a great job for us. She helped us plan our custom trip and was very good at squeezing in everything we wanted to do and got us great places to stay. We could not have been happier. Diese Reiseerfahrung ist für Maria. Diese Reiseerfahrung ist für Bryan. As scheduled we were received at the SJO airport upon arrival and transported to the hotel. The pick from the hotel by inter-bus was on schedule and from there we drove through the mountains to Puerto Viejo, on the East coast for a three night stay followed by a two night stay in the Arenal volcano area near the town of La Fortuna. There are several sites to visit but we hiked to the volcano and spent the evening at the relaxing Ecotermales hot springs. A cross country drive over rough roads in the hills to the the beautiful but cold town of Monteverde, located in the mountains was our next destination for 2 nights. A great place to visit the cloud Forest and the several Hanging bridges. Again Inter-bus shuttled us to the warm beach town of Manual Antonio, loaded with things to do but we focused on the National park and the beaches with a visit to the quiet town of Quepos. The three day visit soon came to an end with Inter bus driving us the SJO airport for a flight home. Our trip would not have been so enjoyable without the well organized schedule , hand outs, transportation, hotel accommodation, pick up and drop off & site visits developed by Jimena of Trip.me and the local agency. It was a great experience of a beautiful country full of nice friendly people. Jimena was always available to respond to our questions with prompt replies. It was a well organized program with punctuality being exemplified by Inter-bus We were well received at every hotel and tours. Thank you Jimena and the team. The trip went exactly as organized. The shuttles were very reliable & the tours were really good. All questions that I had prior to the trip were answered promptly & since the entire trip went smoothly, there was no need to contact Jimena during the trip. The only thing that I would do differently, now that I know, is skip the first & last days in San Jose. I would go directly to the first destination as we could have spent more time in La Fortuna & gone directly from Manuel Antonio to the airport (there is enough time since our flight was in the afternoon). The traveler has left a 3-star rating. Diese Reiseerfahrung wurde von einem Niederländisch-sprechenden Reisenden geschrieben. Dieser Reisende hat eine 4-Sterne-Bewertung gegeben. Bryan, to say the least, was first class, his correspondence was excellent and knowledge of what we required was very good, the excursion Bryan arranged were fun, we had a change in time table on one of the excursions and as we arrived at the hotel there was note to advise us of the change. We would highly recommend Bryan’s advise! Thank you for arranging our wonderful trip. We are still in Costa Rica enjoying the sunshine and beach in Playa Matapalo. Diese Reiseerfahrung ist für Lars. I had reached out Lars with a budget and timeframe and asked him to plan a trip in which we could see the best of Costa Rica in 10 days. The service before we left was fantastic. He answered any and all questions promptly and spent time on the phone with me as well. The entire trip went off without a hitch! It was smooth and easy! We were thrilled with the locations, activities and hotels that he booked for us. We really had a vacation of a lifetime! 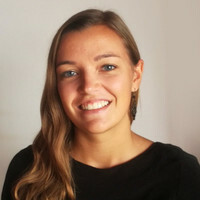 Maria is very knowledgable and helpful with the trip planning: she has good ideas on where to explore, setting up the accommodations, and developing an easy travel program. The traveler left a 4-star rating. Lars was very knowledgeable about the areas in Costa Rica. He worked up a great itinerary for my husband and myself. He picked out the hotels which were all great,(one hotel was on the road, a little too noisy though, but it was clean and very spacious ). He got back to me right away regarding what I was looking to do in the area. We did not rent a car here, did pickups and transfers, all went on time with that, no issues. Costa Rica is so friendly, loved the people! Die kompetente Beratung und Planung von Yannik brachte uns ein unvergessliches Reiseerlebnis, das wir im positiven Sinn nie vergessen werden. Als eher kritische Menschen waren wir überrascht, wie alles, genau nach " Drehbuch", klappte. Herzlichen Dank, Yannik. All the agents we dealt with were professional, caring and attempted to meet our travel requests & needs on all levels. We did 3 revisions of our trip to get what we wanted and it was all done with patients and enthusiasm from all agents. They could not have been more helpful including suggestions for airlines to travel. We had a great time. Hotels were very good, drivers always picked us up in time and were very nice, guides great. Nothing to complain about. Yannick, who was our contact at the time got back to us immediately when we had a question or requested a change in the itinerary. We would use trip.me any time again. I missed my flight and had to cancel trip. Lilliana the manager at the Costa Rican site and Maria, my travel agent from trip.me, contacted all the vendors to re-schedule my trip for a later date. With their efforts and advocacy, there were no extra fees because of cancellation. I will be going on the trip end of Nov. Maria helped me come up with an excellent itinerary which considered my wishes and my budget. I couldnt be happier with them and trip.me. Diese Reiseerfahrung ist für Simone. Es wurde wunderbar auf unsere individuellen Wünsche eingegangen. Wir konnten unsere Reise ganz genau auf unsere Bedürfnisse anpassen, ob mit oder ohne Guide, welche Unterkunft und welche Zimmerkategorie wir wollten. Gute Organisation der Reise, Transfer zwischen den einzelnen Destinationen völlig problemlos geklappt, Shuttlebusse extrem pünktlich. Alles was perfect georganiseerd : de hotel reservaties, het vervoer, de privéchauffeurs... We vonden ook de betrokkenheid van Simone tof, zij stuurde ons tijdens het verblijf een mailtje om te checken of alles in orde was. A master travel planner, we said we wanted an active, adventure-filled holiday with lots of sightseeing and that’s exactly what we got! Very accessible and friendly. Wonderful holiday with family and friends! Excellent planning of trip. All the transportation was on time and comfortable. The local guides were knowledgeable and engaging. The accommodations were attractive and pleasant. The food was tasty, especially the abundance of fresh fruit. We saw lots of animals in their natural habitat; the landscape was beautiful, lush, and green. We had a great experience with Lars planning and booking our Costa Rica vacation. He understood the type of vacation experience we wanted and customized the trip for us. Lars, booked great accommodations, an excellent adventure tour, and private ground transportation for us. Everything worked very smoothly. Check-in at hotels was easy, the drivers we had were all punctual, friendly, and professional. I would not hesitate to use this tour service again. It made our Costa Rica trip one of the highlights of our traveling experiences. Lars did a great job of setting up our vacation. We stayed in 6 different hotels in 15 days, and everything went smoothly including the private transportation between locations. We were happy with each of the hotels he recommended. Thanks Lars! The trip was wonderful! Action-packed and well-organized. The hotels were all top-notch and we had no worries at all through every step of our vacation. Excellent hotel selection, the activities, the places. Everything was perfectly planned. At the beginning all was fine. I basically accepted the itinerary Lars suggested after contacting me by phone since it seemed reasonable and promising. When Lars sent me the confirmation for my booking, I noticed that all three tours in the Arenal area showed the remark "waiting list". So, I sent Lars an email asking about it and he said this was due to the early booking time (it was August 04, 2017) and that it would be fine by April. So, I payed the first rate and was happy to have booked a nice trip. However, after having paid the second rate on March 27, 2018, the note "waiting list" was still on the programme, and it was also on the last version of the itinerary that Lars sent in his "countdown letter", three weeks before departure. I contacted Lars again, who then was basically blaming me by telling me that I had known this before and that he couldn't do much as this tours weren't available on the days I had chosen. Well, I actually had just accepted what he was offering, so don't think that it was really me who had chosen those days. Anyway, I don't think that blaming the customer is a very professional way to deal with a problem that could have been solved long before by simply making the effort to liaise with the client and change the order of the tours on the time table which was actually what was done in the end. Lars made our trip planning virtually effortless. I’ve never arranged a trip this way so I was skeptical. Every shuttle, hotel, and activity was as described and we had an awesome time! Our vacation was nothing short of AMAZING (the european Amazing, not the californian one). I can only recommend Costa Rica to everybody else. Lars planned a tour which included all our interests, adjusted it as we wished and was also fast with his responses. The trip was a bit more expensive than we hoped, but we didn't complain. I'm sure Lars would've found something cheaper too. The hotels were a bit too exclusive, but OTOH they were in the middle of the jungle and the animals came to us in the hotels. We didn't have to go and look for them. Although I contacted several Costa Rican travel companies, it was not until I spoke with Lars at Trip.me that I was sure that this was the best person and travel guide I could find. We were a family of 11 ranging in age from 4 to 71, traveling to Costa Rica to celebrate my 70th birthday. Lars listened to exactly what we wanted and arranged it all!! He promptly answered all my questions in a professional and pleasant way. Our whole group wished that we could have met up with Lars while in Costa Rica to let him know how thrilled we were with his help. Every one of our drivers and guides were wonderful to us, going out of their way to be sure we had a great experience. THANK YOU, THANK YOU, Lars!!!! Lars was incredible from beginning to end. He put together the perfect package for our interests and budgets. When we wanted to leave one of our locations early, he quickly arranged transportation and a reservation to accommodate us. He communicated clearly with us and was a pleasure to work with. Lars did a great job of arranging every detail of our trip for us. He willingly made changes so that everything was just what we wanted. Overall the trip was wonderful. Everything was very organized and efficient, and we could not have asked for nicer people to make our visit fun and easy for us. The quality of the accommodations and the excursions was remarkable. We have recommended [the local agency] to several friends, and will use them for our next trip to the land of pura vida. Just arrived from an absolutely fabulous 13 day customized tour of Costa Rica! Our tour consisted of visiting 5 different locations and travelling from coast to coast. Without the help of Trip.me and their local travel expert Lars from Costa Rica Tours, I would not have been able to plan such a detailed itinerary perfect for our family (travelling with teens). Even though I was not familiar with Trip.me and [the local experts]; I decided to give it a try since the online reviews were great. I quickly realized their level of expertise when I started communicating and I was really impressed right from the first email, to the calls during our trip to ensure all was going well. The service I received from Lars was absolutely top notch! All emails were answered quickly, almost always the same day, his knowledge and advice were great to plan a very detailed itinerary. Lars was professional and very patient and very accommodating when we kept modifying the itinerary. All our booked excursions, accommodations and transfers were all on time and the detailed itinerary provided by our travel expert was 100% accurate thanks to his attention to detail! I would recommend without any hesitation Trip.me and Costa Rica Tours! This is the first time I booked 100% of a trip online and was very satisfied. Received all confirmations via email and all travel documentations, payment methods were easy and done securely. I would trust Trip.me for my next destination! We are so pleased with this vacation, arranged by Lars at [the local travel agency]! We really did not know what we should do to experience Costa Rica in one short week, so relied on Lars' expertise to put a tour together for us. Each step of this adventure flowed together so smoothly and exceeded our expectations! Thank you from the bottom of our hearts! Lars was excellent - he was always there to answer questions- rearrange pick up times to meet our needs. And just generally check on us to ensure we were having a good trip. Lars was excellent at helping us to plan our trip in Costa Rica. Lars met our needs for snorkelling, accommodations and transportation. We really enjoyed our trip to CR, however would have preferred more details in the itinerary. For example the Hanging Bridges, Fortuna Waterfall & Volcano NP it would have been nice had we been advised that we would be swimming in the waterfall & that water shoes were advisable. As well comparing our itinerary to other travels theirs was much more detailed. Also not sure why Lars had us going the route we went. We seemed to be back tracking. Perhaps this was due to the road conditions. Also had we known that the travel time would be 6 plus hours between our first 2 destinations we may have changed our itinerary. No where did it indicate that we would be taking an Interbus. It would have been nice to see the final itinerary which we received at the Radisson prior to our arrival in CR. Diese Reiseerfahrung ist für Madeleine. Madeleine hat schnell auf alle unsere Fragen reagiert. Sie hat uns sogar zweimal aus Costa Rica angerufen. Well organised, efficient. Extremely pleased with car, and accommodation except for Rincon la Vieja lodge which was very poor. Power off between 10am-3pm. Food the most expensive we encountered, very limited choice, shower dangerously hot on the few occasions it worked??? All other accommodation very good. Really good information supplied by you in all aspects. Particularly recommend the accommodation at Namuwoki Lodge Puerto la Vieja , Arco Iris at Tamarindo and especially Jinetes de Orso at Drakes Bay. We are both over 70yrs old and we had a great time, thankyou. I am so pleased with the service! Lars was communicative, planned the trip well, and sent us all the information we needed. The hotels were perfectly located, the quality we expect, and all the excursions were spot on! We loved all ththe activities Lars planned, all the guides for excursions came right on time, and the transportation Lars booked was excellent. I can’t say enough good things about Lars and using trip.me! Lars helped me from the start and tolerated my changes in hotels and trips. very responsive. replies e mail quickly. could not ask for more. all time tables were kept punctually. in the hotels we were placed as near as possible to the restaurant, so we hadn't have to go far. the drivers were helpful and very polite and knew that they have to assist us excellent service!!! Lars was more than patient with me during the booking process. I had many questions and he was very quick and helpful with the response. The whole 3-week adventure covered the major parts of Costa Rica, giving us a great overview of the many different microclimates of this Beautiful Country. Excellent. Very well planned. He was patient and planned an authentic and fun trip to costa rica for me. Could not have planned a better trip. Our trip was excellent! Lars was very accommodating in making changes to our itinerary as we fine-tuned the order of our destinations and all of the transport options and excursions we wanted to include. The suggestions he made ended up being the highlights of our trip, particularly the Penas Blancas River Safari, something we had not even considered. Accommodations were excellent. At one point we had to put the entire trip on hold, and Lars was very understanding. The whole trip from start to finish was organised meticulously well. Lars was so helpful and always ready to answer any querys. The tour guides on all the excursions were amazing and the hotels were top class. We were honestly blown away by how well organised and enjoyable it really was. I would 100% recommend this to a friend. Thank you so much for making our honeymoon so memorable. Everything was excellent. Beautiful hotels, transportation always on time and the events were always guided and never cut short! Everything worked very well. We admire the organisation of our wonderful trip. The hotels, the transports, the excellent guides/drivers - pure perfection. We were both satisfied and pleased with our trip to your beautoful country. We usually research and organize our own trips, so this was a new experience. From start to finish we were taken good care of. Working with Lars enabled us to explore and enjoy CR. Even when we wanted to change a piece of our itinerary on the spot, Lars immediately worked out a good alternative for us. All in all, a very satisfying trip--excellent service. From the moment we arrived in San Jose till we left two weeks later, we enjoyed what was probably our best vacation ever. Accommodation, transportation and excursions were all that we hoped for and much, much more. The preparation and planning done for our personalized tour by Lars made sure we had absolutely no concerns the whole time we were there. In the space of a few days from our first contact with trip.me, who led us to Lars, he had ascertained the type of holiday we wanted and put together a package that flowed from one day to the next. We had time to enjoy five diverse areas of this beautiful country, enhanced by the guided tours that were booked for us. Great job, Lars. Thank you. Lars was knowledgeable and very responsive. He made suggestions and incorporated my ideas into the itinerary. He explained alternatives (and associated costs). In the end, we had a great itinerary and I was confident that all the logistics were pre-arranged so I didn't have to worry about reservations for hotels, excursions, drivers, etc. I also want to emphasize how absolutely amazing each of the guides were (for Arenal Volcano, Monteverde Cloud Forest and Manuel Antonio National Park) - their knowledge, English language skills, interpersonal skills were exceptional and really helped make the trip special. MUCHAS GRACIAS! I was a little weary of going thru Lars at first but man did he come thru - our trip was seamless - he took care of all transportation hotels tours and took care in getting the information from me he needed to make our trip one for the history books - What an excellent service - took all the stress of booking a vacation out! The communication with Lars prior to the trip was always very friendly, quick and professional. He tried to accommodate all our needs and was very helpful. We had a wonderful vacation in Costa Rica, it really is a very beautiful, and versatile country. The composition of the trip was very good. We had a good mix of nature, fun, beach and activities. Everything went really well. I am honestly positively surprised, how well everything has worked. The bus drivers were on time, the booked activities were well organised and the guides had a good English. Only the hotel "Spring Arenal" was to far away from Fortuna. A taxi would have cost 12 Dollar and the restaurant in Spring Arenal were really expensive. And the hotel Cariblue Beach has probably seen better times. But in the end we really enjoyed this trip and can highly recommend it. Lars developed an action packed itinerary for our group of 13 - 6 adults and 7 teenagers. His recommendations for hotels and activities was bang on. We thoroughly enjoyed the trip with many saying it was a trip of a lifetime. The itinerary was detailed including all approx times, packing lists etc. Lars' selection of tour guide, Fabian Barquero, who spent 9 days with us was the icing on the cake. His knowledge and passion for everything Costa Rica made our trip even more exciting. Every detail was taken care of - all we had to do was sit back and enjoy. Lars did an excellent job - too bad we did not get to meet face to face to thank him. Diese Reiseerfahrung ist für Maria Laura. My 4 weeks roundtrip was excellent and I am very satisfied with everything. It was great I was immediately contacted by Lars and trip was more than we expected. Lars was very instrumental in an amazing trip. Clear communication from the beginning till the end. He was able to answer all questions and make sure that everything was booked and communicated to me via email. Travel has never been so easy, will definitely be using trip.me in the near future. This trip was everything we expected and more. Lars did a great job of understanding what we wanted as far as attractions and schedule. All tours were first class as were the hotels he chose for us. We loved Costa Rica. Lars was fantastic. Very responsive and quick to get back on questions. All of the hotels and excursions he booked for us met or exceeded our expectations. It was very accurate and smooth transfers all around. I am very pleased that I found this site to create my unique trip of life time. I would highly recommend this site for keen travellers like me. The transportation was right on time everytime. I have never been to costa rica and expressed some areas to see. I felt like i was run backa nd forth all over the place and perhaps with more communication i wouldn't have felt limre i back tracked so many times. The hotels were quite nice but very isolated with the nearby towns, thwrefore I was limitednasbto where i could eat or shop.i wish there was more one on one communication to help me realize what i was requesting and how,that would look like. I was put in 4 and 5 star hotels and would have preferred to spend less and stay in 3 and 4 star hotels. My trip to Costa Rica was wonderful. Lars was very good and reminded me of things I had forgotten (thank goodness someone was on to it). We are back from our travels in Costa Rica and had a wonderful time, thanks to you! All the arrangements were perfect. We enjoyed our one night in San Jose. Our pick up next day was right on schedule and we had good travels to Mawamba Lodge and Tortuguero. Jacqueline was a very good tour guide for our days there and we got to see the turtles laying their eggs on the beach. Our car rental was very convenient and we had a pleasant drive to LA Fortuna and the Volcano Lodge. The horse back ride was a new experience and fun. We then drove to Monteverde and enjoyed the zip line in the cloud forest. All our accommodations were excellent. Car rental was very convenient. All our guides and excursions could not have been better. Thank you so much for your help planning our trip to Costa Rica. We will certainly use trip.me again in the future. Maria Laura planned a hiccup free trip for us. Everything was extremely organized. All planned transfers arrived on time if not early. All were courteous and the majority of them spoke english. All the drivers were so much fun to drive with. They took the time to stop and show us landmarks we would have missed. They were all VERY excited to show us their country. The accommodations were spectacular as well. We arrived early to two hotels where check ins were in the afternoon but the management staff were very accommodating in hurrying up the room clean up for us. All the booked activities were exactly what we wanted to do and how we wanted them. Maria Laura was extremely helpful and responsive and PATIENT :) as we changed plans multiple times. One thing we noted in a couple of the hotels is that they asked us for our room number before responding to our requests. We believed that they were checking what type of rate or package we received? We weren't sure about that. For example we needed to get to town. One receptionist told us that there is a free shuttle from the hotel to the downtown La Fortuna area. When we went to order it, the other receptionist asked me what room i was in. When I told her, she told me that we would have to order a taxi and that there is no shuttle available. So we took a taxi to downtown La Fortuna to walk in the evening and have dinner. $16 each way. Quite expensive. However on the trip back, the taxi that drove us to our hotel apparently had an issue with the hotel owner and the gate keeper wouldn't let us past the gate. We had to get out of the taxi, and wait for their shuttle to come down and get us. The owner needs to keep his issues with the drivers between him and them and keep the guests out of it. Another hotel wouldn't give us WIFI passwords in our rooms, but other rooms received WIFI. All in all a very well organized trip. All went smoothly going from one hotel to another. Great job organizing our trip Maria Laura.